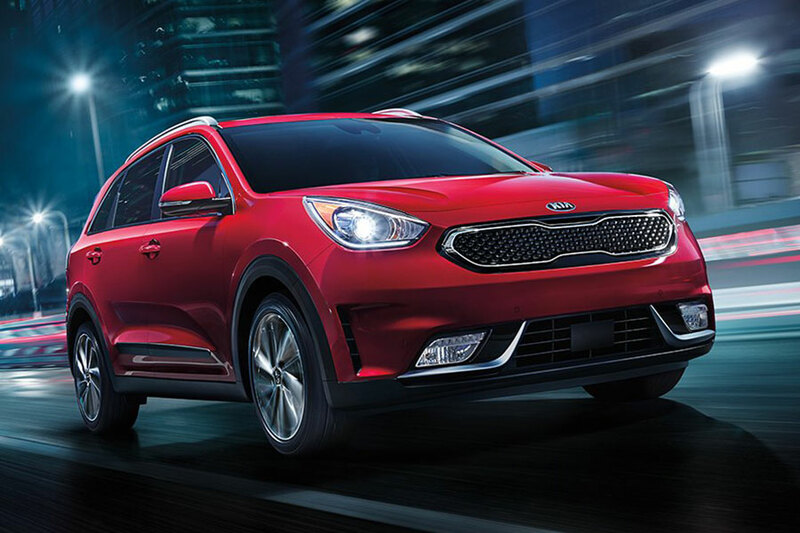 With its spacious crossover design, the 2019 Kia Niro is the perfect hybrid for sporty drivers and their families. This year, the Niro introduces a few new color options, including two-tone exterior paint jobs. Check out the Clear White model with the red roof or the Inferno Red model with the black roof. Last year’s Niro Graphite Edition is now known as the S Touring trim model. Finally, Kia gave its navigation system an upgrade, retiring the old system in favor of new technology. Why buy this hybrid crossover SUV? 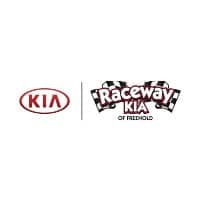 Not only will the 2019 Kia Niro help you save money at the pump, but the Niro also comes standard with an impressive list of comfort and convenience features. The Niro’s status as a hybrid crossover means that it’s also a great family hauler, with substantial head and leg room for your growing brood. Every one of these crossovers comes with Apple CarPlay and Android Auto smartphone integration as well as the Uvo eServices app suite with voice controls, giving you the power to stay connected in hands-free fashion. Dual-zone automatic climate controls give driver and front passenger the means to set their own perfect temperatures. In addition to modern comfort, the Niro supplies a peppy, un-hybrid-like ride, getting you up to speed in snappy fashion. What is the 2019 Kia Niro’s fuel mileage? To maximize this crossover’s thrifty performance, go with the entry-level Niro FE trim model. The Niro achieves max EPA ratings of 52 city/49 highway mpg, helping you tackle a major commute with maximum savings. Of course, the Niro’s hybrid powertrain helps the other trim models achieve almost equally impressive figures. The high-end Niro Touring earns 46/40 mpg. All of the other Niro crossovers achieve 51/46 mpg, making this hybrid a great choice for anyone who does a lot of driving. Is the 2019 Kia Niro safe? In the event of a crash, the Niro has you covered with a long list of standard airbags, including dual front advanced airbags and full-length side curtain airbags. Standard performance technology, like stability and traction control, help you maintain precision in the face of problematic road conditions. A rearview camera is also standard on every model. Thanks to the camera’s encompassing display, you can back out of a tight spot with increased safety. Starting with the mid-grade EX trim model, the Niro comes standard with street-smart driver aids that are designed to help you avoid an accident. (Incidentally, you can also add this equipment to your Niro LX via the Advanced Technology package.) These include an automatic emergency braking system with pedestrian detection to help you avoid collisions altogether. Should you accidentally stray, the lane keeping assist feature gently guides you back to your proper path.